The NanoBioInterfaces group (NBI) is working on a number of different areas of Materials, Analytical and Biomedical Chemistry. All projects involve the fabrication and characterisation of new nanostructures and very often their surface modification and/or bioconjugation with biomolecules (peptides, proteins, aptamers, etc). Most projects are inspired by a question of medical or bio-analytical relevance and we collaborate closely with partners in Biology and Medicine on a national and international level. The release of drugs in a controlled manner over long-term periods has been recognized as one of the most promising biomedical technologies for treatment of certain types of diseases. Medical conditions such as cancer, diabetes and chronic pain require medications that must be dosed intermittently on demand and over a long period of time. The use of an electrical signal is considered as an attractive way when drug delivery on demand is requested. The approach is simple, safe, and inexpensive and has a wide range of possibilities to trigger the release. Changing the bias of the applied potential, the current density, using continuous or pulsed conditions, negative or positive potential bias, short or long cycles all allow in a unique manner the on-demand release of drugs. Growing resistance of bacteria to antibiotics is a major health concern. Novel strategies aiming to reduce the amount of antibiotics, but able to prevent and treat animal and human infections should be investigated, evidenced and approved. Among the various approaches, the use of nanostructures is currently considered as a highly promising strategy to overcome microbial drug resistance. Carbon based nanostructures (diamond particles, graphene, etc) offer great promise for such novel activity, and research in our group is focusing on the synthesis of novel functional (mainly sugar based) carbon nanostructures with intrinsic or triggerable antibacterial properties. Photothermal ablation (PTT) and photodynamic treat (PDT) are at the forefront of our investigations. The development of a skin-mounted patch capable of controlled transcutaneous delivery of therapeutics through thermal activation provides a unique solution for the controlled release of active principles over long-term periods. 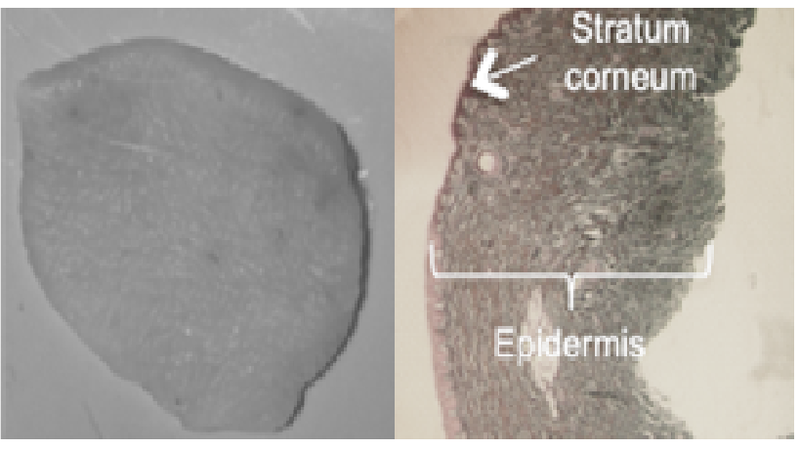 Our group is exploiting different graphene based skin patches and hydrogels for on-demand transdermal drug delivery using photothermal skin activation. The concept has been shown for insulin and ondansetron, but is currently widened to other drugs. The use of biosensors for the early diagnosis of diseases has become widely accepted. These sensors are based on the detection of disease markers (e.g. proteins overexpressed in blood and serum) and provide a point-of-care diagnosis that is rapid and cheap with appropriate specificity and sensitivity. However, biomarkers are present at very low concentrations in biological liquids (serum, urine, salvia) and the use of devices with extremely high sensitivity is requested. Our team develops novel sensing interfaces based on graphene nanomaterials and composites together with aptamer-based surface ligands, for sensitive and selective sensing of biomarkers (folic acid protein, lysozyme, cardiovascular disease markers, etc) in serum samples. Electrochemical and plasmonic read outs are at the preferred transducers used. while surgery and chemotherapy remain the major therapeutic approaches for the treatment of a wide range of cancers, nanoparticle-based anticancer therapies have been extensively developed over the last years as an effective treatment of advanced-stage cancers. Our team investigates particle based photothermal and photodynamic therapeutic approaches as alternative treatments. Lipid nanoparticles, as well as graphene based nanostructures are at the forefront of investigation. The rapid development of modern transportation, petrochemical and marine engineering aggravates the environmental pollution, which not only leads to ecological disturbance but also endangers the sustainable development of society. Chemical industrial wasterwaters usually contain organic and inorganic matter in varying concentrations that exceed the primary drinking water standards, many of them being toxic, carcinogenic or simply non biodegradable. This waste water management has become of high importance over the last years worldwide. Our group develops simple and sustained appoaches to tackle this problem through the use of superhydrophobic polyurethane sponge with excellent oil/water separation behavior and high organic adsorption capacity. Also we apply advanced oxidation processes (photocatalysis, Fenton,…) for wastewater treatment usind divers nanostructures. Supercapacitors (SCs) are energy storage devices with an immense potential to resolve energy related issues. Our group focuses on the development of microchip-based electrochemical energy storage systems using porous carbon coated silicon nanowires as well as dopee/functional/ porous reduced graphene oxide nanostructures as SCS candidates.